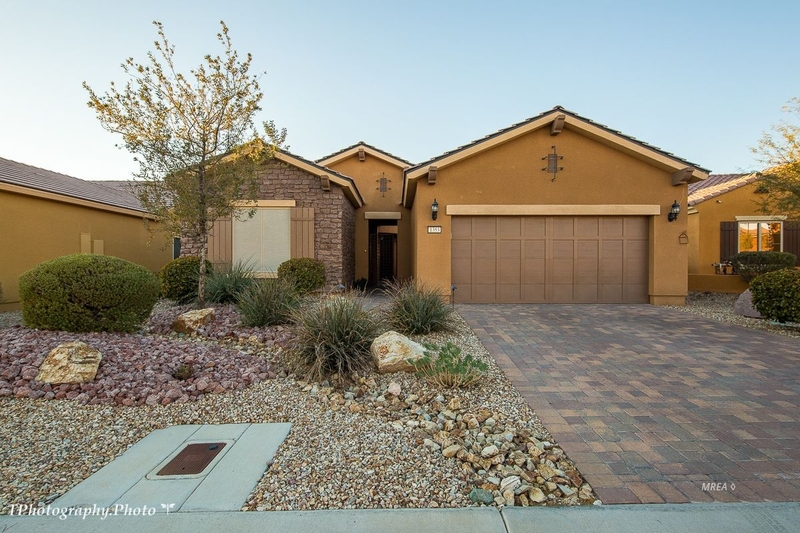 Must see fabulous Sun City Iris with spectacular Flat Top Mesa views.This home is freshly painted inside & out. This home is highly upgraded starting with the extended pavers in the driveway, walkway, and private courtyard. This private courtyard contains the home's entry though a dramatic circular foyer with a custom floor medallion that highlights the neutral diagonally-laid tile. To your left is a spacious den, with courtyard views, that could double as a home office. Beyond the den, off a short hallway, resides the guest bedroom & bathroom, creating a secluded suite for your guests. As you stand in the foyer, look straight ahead and you'll see the expansive great room. The windows offer great views of your completely fenced back yard and beyond to the Flat Top Mesa. This generous entertaining space wraps around the kitchen and merges into the dining room for a nice, open flow. Dining options include the casual kitchen nook, a formal dining space, & outside spaces. The kitchen has lovely cabinets, granite, and a custom backsplash. All window coverings & appliances included. Oversized garage for your ATV or golf cart. This home is move-in ready with a great view. A MUST SEE!